One common approach used by sociobiologists to investigate the heritability and genetic control of psychological characteristics is through studying identical twins who were separated at birth. Since each twin is brought up differently, similarities in behaviour would supposedly reflect genetic influences rather than those from their environment. One of the largest such studies (of 9800 individuals between 1979 and the present) has been conducted by psychologists at the University of Minnesota USA, aptly situated in the Twin Cities of Minneapolis and St Paul. This reported estimates of heritability with probabilities greater than 35% for attitudes towards: the death penalty; observing the Sabbath; working mothers; military drill; white supremacy; marrying cousins; royalty; apartheid; disarmament; censorship; “white lies”; jazz and divorce. At around 25%, still supposedly significant, come attitudes to nudist camps and female judges. Neurobiologist Steven Rose was moved to comment in his book Lifelines:[i] “it is I suppose a matter of some surprise that there appears to be virtually zero heritability for pyjama parties, straitjackets and coeducation”. So, a major study aimed at revealing the role of genes in human behaviour refutes itself by the sheer banality of its findings. Rose is a Marxist and his Lifelines is to me the most readable of several books that argue strongly against the dogged genetic determinism of “ultra Darwinists”, such as Richard Dawkins, and against evolutionary psychology and sociobiology in general, including that of Boehm. Rose considers that the survival of such approaches as the Twin Cities Twins study, and the wide degree of belief placed in them, stem partly from the prevailing political climate, but also from the continued influence of reductionism in science and as a philosophical standpoint. In Rose’s view, ultra-Darwinism is metaphysics based on two assumptions: that the sole purpose of life is the reproduction of genes, as the basic units of all life, and that adaptations among all the observable features of an individual organism (its phenotype) are subject to the process of natural selection to retain in future generations only those genes that confer “fitness” on the individual. The first premise considers the gene in much the same way as physicists considered the atom before the rise of particle physics and quantum theory: something unchangeable and indivisible, whose only role is to create conditions for its own replication. Yet the understanding of genes has developed far beyond that “atomic theory” of specific places on strands of DNA, to one of diverse sections of the double helix directly interacting with the fluid chemistry of the cells that contain them, and through them with the rest of the phenotype and the natural world it inhabits. The second premise is that selection acts on all aspects of the phenotype and the genes that control them, to remove those that make an individual less fit to adapt to its surroundings and thus less able to pass on its genes through reproduction. Such selection is considered to operate on new gene mutations and on features established earlier in evolution when they encounter new circumstances. This mechanistic view of natural selection ignores evidence for much greater complexity. For instance, studies of human evolution reveal that many features were retained, despite conferring inferior physiological fitness, only to become advantageous at some future stage. Consciousness and material culture to an increasing extent permit this apparent oddity, by tending to separate or “cushion” humans from the adverse forces of the natural world. Trying to force such cases into an ultra-Darwinist model conjures up teleological forces of pre-ordained design or genes that somehow “know” what the future holds. Rose reminds us that there is far more to DNA than self-replication. At the instant of conception, fertilisation contributes half-strands of DNA from each parent to each of the DNA strands in the 23 pairs of chromosomes in the fertilised egg. Thereafter, the cell divides repeatedly during development of the human foetus and through childhood to maturity. Most kinds of cell continue to be replaced by such division until death. At the core of Rose’s position is the idea that cell division first unwinds the double helix into two strands and then synthesises new strands to recombine with each of them: each such division produces DNA that is half new. By the time sexual maturity is reached, there have been millions of such renewals, so that any vestige of parental DNA has been diluted in the manner of a homeopathic potion. The odds against offspring carrying any of its grandparents’ molecules are unimaginably huge. “Replication” of genes, at the heart of ultra-Darwinism, is thus merely a metaphor that masks the real biochemistry that goes on at all levels in every organism. DNA molecules do not persist chemically, only their form. Rose argues that ultra-Darwinism and its various branches, by ignoring that complexity, base themselves in metaphysics: to be less polite, in fantasy. Ultra-Darwinists shrink from a paradox that emerges from their views, or at least, when they address it, reveal more than a hint of “the Emperor’s new clothes”. It concerns humanity. Why is it that humansdo not obey the “instructions” of their genes to spare no effort in maximising the spread of their genes and those of their close relatives? In other words, why altruism? And why all the rest that Boehm considers to be gene-determined morality? Dawkins argues: “We are built as gene machines … but we have the power to turn against our creators [i.e. genes]. We, alone on earth, can rebel against the selfish replicators.”[ii] So, are genes rebellious as well as selfish? Dawkins remains silent. The 17th-century philosopher René Descartes held the reductionist view that non-human animals were automatons, mere machines lacking free will. Humans, to him, possessed minds and souls that emanated from the pineal gland (which actually modulates wake/sleep patterns and seasonal functions in all vertebrates through the production of melatonin). Is Dawkins’s coyness on humans’ special qualities a mark of dualism among sociobiologists, “inherited” from Descartes and from the roots of Judeo-Christian theology? Certainly, Boehm resorts to notions of human salvation through “good works”, as we shall see. An epithet flung by sociobiologists at Rose and his co-thinkers is “wholier than thou”! The essentials of the Marxist view of biological processes held by him and others is indeed holistic, and also dialectic. Natural selection, from that viewpoint, is not the only driving force behind evolution, and nor does it operate only at the level of single genes. Through interactions among different parts of DNA, individual genes and the whole genome are inseparable from the various kinds of cell in which they occur, and from the complex chemistry within cells. In turn, cells make up the whole organism and what it does (the phenotype), which interacts with other individuals and the surrounding environment, including countless other species, varied and continually varying ecosystems, and greater aggregations up to the scale of the whole planet and the way it works. Single-celled bacteria are far closer to the external world than the cells in multicellular beings such as ourselves, and so are more prone to chemical interaction with their surroundings. Over the last 20 years or so, evidence has grown that mutations in bacterial cells are connected with their environment. This is close to what was hitherto considered “heresy” – the idea that characteristics acquired by interaction with the environment may be heritable. This suggestion was developed by Jean-Baptiste Lamarck, before Darwin’s theory of natural selection became dominant, yet became discredited by association with the ideas and actions of Trofim Lysenko, Stalin’s quack agronomist who destroyed Soviet genetics in the 1930s. All life is descended from single cells that arose between 3 and 4 billion years ago through complex chemical processes and interactions, probably in seawater around hot springs on the ocean floor, as too did DNA’s genetic coding. Increasingly, biologists studying the progress from fertilised egg to mature individual in the development of multicelled organisms are becoming receptive to evidence for changes in gene expression caused by environmental processes as well as by changes in the genes themselves – epigenetics – and are considering the possibility that such adaptive processes play a role in evolution. Organisms are not infinitely malleable: their entire evolutionary past, from the form of DNA through to physiological and behavioural features, constrains the course that their future evolution might take. In the case of humans, such interactions increasingly take place consciously in the context of society. The ultra-Darwinists approach these interwoven relationships through a dualism that separates cause and effect, and assigns them to this or that phenomenon: a linear approach that ignores reciprocity among various levels and the dynamism of dialectical interactions in evolution. They also ignore the possibility of as-yet hidden processes, which might further undermine their metaphysics as new discoveries are made. By no means is evolution a passive process for individuals at the centre of natural selection, as ultra-Darwinists propose. Organisms “do not sit waiting patiently for … “the environment” to scrutinise them”,[iii] but actively engage with the changes. Such autopoiesis has been observed at the level of single-celled organisms whose make-up incorporates environmental response mechanisms. It is abundantly obvious among humans, who on a daily basis consciously intervene in an increasingly broad, sophisticated and cooperative manner. In doing so, individuals and the collective whole become increasingly separated from “fitness” and “selection” in the strictly Darwinian sense. The new things that they do are passed on in culture, not in genes. There are no genes for mastering Playstation, Nokkia, Toyota or Zanussi, and nor were there genes for creating the bi-face stone axe, the spear, fire making, metal smelting, machine tools and computers. Interestingly, much of the momentum for sociobiology[iv] came in the form of grants from the Rockefeller Foundation’s 1930s project for a “Science of Man”, a thinly veiled agenda towards social control and eugenics. This brings me to Boehm’s political musings at the close of his book. Beginning about 20 kaago with the first evidence for harvesting of wild grains in the Levant, by around 11.5 ka the first truly domesticated crops of grains and pulses appeared in the Fertile Crescent (the lower Nile valley, Palestine and Mesopotamia). By 5 ka every presently inhabited continent except Australia had its own suite of domesticated crops and livestock. For at least 2 million years before that, humans and their forebears subsisted through a range of foraging and hunting strategies. Seasonal shifts in climate, migration of prey animals, over-use of natural resources and longer-term upheavals in global climate necessarily involved migration, on a range of scales from regional to global, to sustain the lifestyles with which humanity had evolved. Farming and pastoralism, which involve domestication of plants and animals, require the people who practice them to settle more or less permanently. Remains of permanent settlements first appear in the archaeological record in the Jordan Valley at the very end of the last Ice Age, about 11.5 ka ago: they were made by hunter-gatherers shortly before the first evidence for agriculture and pastoralism appears. Widely known as the “agricultural revolution”, this was the most fundamental transformation of hominin activities since the first stone tools around 2.5 Ma. It indeed enabled a revolution, through the development of regularly reproducible vegetable foods, some of which were storable for several years, and more or less tame “meat on the hoof”. The essence of the revolution was that for the first time it became possible for labour to create surpluses whose “durability” enabled them to be stored, moved and eventually traded. Such food security allowed populations to grow. In this fundamental shift in lifestyle lay the potential for surplus produce to be expropriated by minorities, to confer various degrees of elite control over the producers. The rise of hierarchical societies based on theft of surpluses, in one way or another, created something inhuman: the act of production now estranged the product from its producer, in which lies the source of alienation in all its forms. become powerful forces in all succeeding societies. Instead he writes: “Over the past 12,000 years … we have basically succeeded, and succeeded fairly well, in sorting things out so that destructive internal conflict doesn’t rule excessively.” For Boehm, the state now encapsulates human morals. 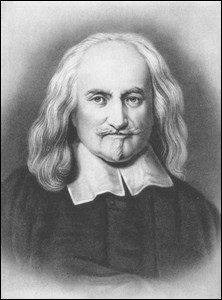 Implicitly he turns to the 17th century, in the form of Thomas Hobbes’s central idea in his Leviathan; that the state, in whatever form, keeps humanity from a perpetual condition of “war of all against all”. Boehm isn’t alone. The psychologist Steven Pinker recently led the way back to Hobbes explicitly in his book The Better Angels of Our Nature: Why Violence has Declined. Through what some reviewers have characterised as academic sleight of hand applied to historical data and some dodgy statistical methodology, Pinker claims to prove that the level of violence in society has steadily declined from its highest per capita levels among hunter-gatherers to the lowest historical levels in “democratic” developed nation states, much as predicted by Hobbes. This massively publicised notion was followed swiftly by Boehm’s cod-genetic explanation of the evolution of human morals – and in early 2013 by the biologist and environmental historian Jared Diamond in The World Until Yesterday: What Can We Learn from Traditional Societies? [v] Diamond takes an especially reactionary line, basing his view on conflict in Papua-New Guinea, while downplaying the fact that colonisation and its attendant disruption of mainly settled tribal society, especially by the Indonesian regime in the west, has been responsible for an estimated 100,000 killings in the last half century. In support of his Hobbesian conclusions, Boehm likens the US Marshall Plan (to bolster European nations after world war two), and other forms of state aid to other nations, to the reciprocal altruism that lies at the core of hunter-gatherer values. Another of his casual asides is that the continual gossip in any hunter-gatherer band, that definitely helps to suppress stinginess and freeloading, has its latter-day counterpart in “world public opinion” – conveniently forgetting the likes of News International, which actually control and manipulate that fictitious “species-mind”. Boehm stumbles through a fantasy world towards the worn-out concept of “world government”, and bemoans the “seriously underfunded, deliberately disempowered United Nations”. The reader might think this is some kind of liberalism – but on page 352 we meet one of Boehm’s “solutions” in the form of a small nuclear war with the destructive power of the whole of world war two, or a similar global disaster, that “might galvanise our entire world of nations to create a similar and safer union [to the EU]”. This is the stuff we might expect of a backwoods survivalist and, as we begin to see, one who reckons that “free trade” might create interdependence akin to the hunter-gatherers’ meat-sharing and who equates “national sovereignty” to the Pleistocene hunting band. Then for his greatest surprise: “In terms of human nature we seem to be just as capable of following leaders as we once were of getting rid of them generically.” What looms here is the grim shadow of “Ancestral Pan”, with its hierarchies of greedy alpha males, that Boehm claims resides within humans as much as it manifests itself unconsciously in chimpanzees. A fantasy easily disposed of by looking at the science of palaeoanthropology, rather than Boehm’s somewhat mystifying if not wholly mystical posturing. What is this but an apology for more than 5000 years of the expropriation of surplus production? “It’s in the genes, you see…” is Boehm’s political message. A diametrically opposed view can be summarised as follows. The “agricultural revolution” was a negation of 2 million years of a close interrelation of conscious, social humans with their natural surroundings and with members of their own group, and from time to time with other groups, some of which we have labelled as different species. Our culture – material, behavioural and psychological – emerged from that interaction through repeated alternations of environmental stress with improved conditions, primarily with roots in rapidly and massively shifting global climate. The conditions of human life have swung from favourable interglacials – such as that in which we have lived for a little more than 10,000 years – through long periods of cooling and drying towards the opposite extreme of ice ages that posed the most serious threats to early humans. Human culture undoubtedly changed in concert with environmental shifts. While in the long term, of tens to hundreds of thousand years, the changes were gradual, increasingly detailed records of past climate change show that on shorter time scales of around a thousand years dramatic shifts in conditions took place in less than a century (perhaps within a couple of decades). Humans met repeatedly with shocks of a severity we find hard to imagine. Again and again, some groups survived in the home continent of Africa and across Eurasia. There can be little doubt that survival of the genus Homo stemmed from three features: living as a social being; a conscious, reflective brain capable of both memory and foresight; and a culture bound up with both these attributes. The first two set out to change the world when tools, probably of a greater variety than that preserved in stone, were invented. That was a practical and mental leap of such magnitude and with such potential, that whichever ancestral hominin made it also transformed themselves physiologically through what the leap conferred. Current science has homed in on the time when that took place, around 2.6 Ma ago – the age of the first stone tools – but has yet to reveal the fundamental physiological change until more than half a million years later, in the form of the earliest member of the human family Homo habilis. Surprises are inevitable from future research. Natural selection in the manner Darwin hinted at, but now known to be a great deal more complex and widely linked than the favouring of individuals made more fit through mutated genes, undoubtedly underpinned the striking contrast between the old australopithecine form and the physiological novelty of the basic human form. Yet that shift in form contained within it, indeed co-evolved with, something never before present in life on this planet: consciousness armed with the material wherewithal to change the world rather than passively adapt to the rest of nature. Social being, consciousness and tools taken by design from nature created an adaptable “cushion” against the forces involved in Darwin’s concept of natural selection. Evolution ceased to be the blind force that the likes of Boehm and Dawkins have concocted and become famous by. The “iron necessity” of ultra-Darwinism undoubtedly suits those who maintain nation states and the hegemony of theft, swindle and brute force that separates surplus product from the producers and turns it against them. Ironically, advances in the biological sciences, even under the dominance of that hegemony, make that simplistic, mechanical outlook on evolutionary change both obsolete and increasingly comical. conscious interactions would have had to be at the centre of the earliest human culture, to ensure survival of both individuals and the foraging group on which they depended. In my view, it seems scientifically perverse to look to some kind of genetic mechanism to account for behaviours that lie at the root of all morality, when the consciousness implied by the invention of tools and migration is capable of establishing such simple, practical rules of social being. Undoubtedly, such communal rules would have been strained and broken at times when familial and individual interests came under stress. Whole groups and even the entire populations of large regions undoubtedly were extinguished by vagaries of their surroundings. 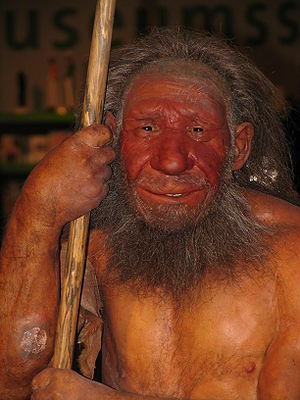 Also, contact between long-separated populations – as happened between the forebears of surviving humans, the Neanderthals of Europe and Homo erectus in Asia over the last 50 ka – created ultimately fatal stresses for one or the other. In these relatively recent cases there is not a shred of incontrovertible evidence of physical conflict. Indeed, the genes that non-Africans share with those vanished populations form strong evidence of regular inter-population intimacy! Migration of hunter-gatherer groups was probably driven by depletion of resources; almost certainly a result of shifts in climate and ecosystems as well as human inroads into what was available. Inadvertent mixing of, by the time of the encounter, populations with different cultures further strained the environment’s potential for sustenance, so that one culture succumbed while another remained. Global climate rapidly shifted from the rigours of cooling and drying to the warmer, more humid conditions that have prevailed for the last 10-11,000 years. The culture and level of consciousness of the only surviving population had by then evolved to allow an initially small proportion in several regions to adapt to, and opportunistically exploit, plants and animals that could be domesticated. How that totally new lifestyle spread lies outside this review’s subject matter, but in the case of Britain it took 4000 years for it to appear after the first domestication of plants and animals in the “Fertile Crescent” around 11.5 ka ago. [vi] The hunter-gatherer lifestyle and its ancient morality continued among the majority of humans over most of the habitable planet until less than 4000 years ago. A point of vital importance as regards social changes among settled, surplus-producing societies comes from archaeological evidence of burial practices. In Britain, as elsewhere, signs of elite burials that imply expropriation of surpluses emerged hundreds of years after the first evidence of widespread agriculture (see note 6 below). Early farmers seem to have retained the egalitarian, socially-oriented morals of their forebears: the era of priests, warriors, lord, kings and capitalists, and their ethos of bullying, theft and cheating characteristic of class society and the resulting alienation of all from all, was by no means an inevitable part of the package. Yet the fact that an economically privileged elite was able to adopt a self-serving and nepotistic perversion of morality, and to hone it to the institutionalised forms seen in late-stage capitalism, is among the most powerful refutations of Boehm’s sociobiological thesis. If natural selection can produce genetically heritable lactose and alcohol tolerance in less than 10,000 years of agriculture, surely 250 ka of moral evolution by the same mechanism ought to have been capable of producing a non-alienating economy! Cultural attributes such as egalitarianism, on the other hand, can be lost, reversed and perverted. Farming both ties people to a fixed place in the landscape and divides individuals and families from others, although cooperative, social labour is still practiced occasionally in farming communities in some parts of the world. Yet the division of land makes farmers insecure in many ways, being divorced from communal culture. All this makes them easy prey for bullying etc. and eases the way to the emergence of class. In some respects it seems inappropriate to designate as “revolutionary” the shift to a settled life of surplus production from universal foraging and hunting, and the attendant “freedom to roam”. Yet the complete novelty of this shift did transform human life and culture immeasurably in an archaeologically very short space of time. We are left today with the immense potential of modern human culture set against a socio-economic form – capital – that has reach its global limit and teeters on the edge of its own destruction and that of the bulk of humanity, even perhaps global ecology in its entirety. To survive, we have to throw off the shackles that at first lay dormant in the “agricultural revolution”. That requires a transformation, a negation in the sustenance of life of the same magnitude as, or greater than, that which replaced universal nomadic foraging and hunting. It hardly need mentioning that a return to the hunter-gatherer lifestyle is impossible on the global dump created from the ordure of capital, and with a population more than a thousand times larger than that once supported by a far richer natural world. The negation has consciously to encompass the entire relationship between humanity and its planetary environment. Its link with that way of living that agriculture negated is, however, not tenuous. Surviving and advancing requires that basic social morality, and the means of achieving and sustaining it through universally complete equality, which the few surviving hunter-gatherer bands carry to some extent as legacy of human evolution and regard as truly “being human”. In the most general sense that is the key to sloughing-off the alienation resulting from the separation of the product of labour from the majority who produce. Yet it is important to grasp that however advanced our consciousness may seem to be today – thanks to the development of human material culture over the last 10,000 years – it contains an element of falsehood and illusion brought on by alienation. That is, “life is not determined by consciousness, but consciousness by life”. [vii] Human life being social, consciousness is dominated by class society, most especially by capital, and is warped or made illusory by alienation. That is, we can consciously set out to achieve all kinds of things, but the consequence is not what we willed. The far less developed consciousness of our hunter-gatherer ancestors was less burdened by alienation, and thus more free to achieve the hoped-for fruits of conscious actions, but not entirely so. A fundamental division of labour emerges from the sexual act of reproduction (see note 7 below). A society totally free of alienation needs to be one that abolishes that distinction, thereby fully freeing consciousness which alone can achieve full humanity. [i] p. 191, Rose, S. 1997. Lifelines: Biology Beyond Determinism. Oxford University Press. [ii] p. 215, Dawkins, R. 1976. The Selfish Gene. Oxford: Oxford University Press. ISBN 0-19-286092-5. [iii] p. 245, Rose op. cit. [v] Wade Davis has written a pithy review of Diamond’s book in the Guardian (9 January 2013). A review by Chris Knight appeared in the Times Higher Education Supplement.